The question of a possible temporal variation of the fundamental constants was raised by Paul Dirac in his "large number hypothesis" in 1937. Today it appears in the context of the search for a unified theory of the fundamental interactions. It touches both fundamental and applied physics, as the postulate of the unalterability of the constants is the foundation for modern metrology. The book presents reviews written by leading experts in the field. 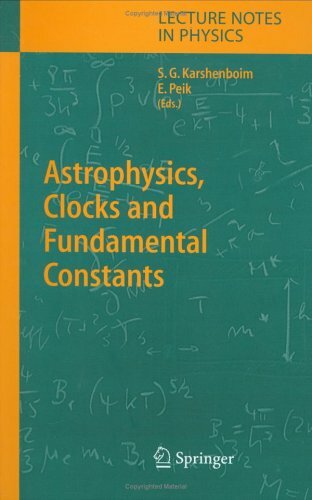 Focussing on the question of variations of the fundamental "constants" in time or space, the chapters cover the theoretical framework in which variations are expected and the search for variations of quantities like the fine-structure constant, the electron/proton mass ratio, g-factors of proton and neutron etc. in astrophysical and geophysical observations and in precision experiments with atomic clocks and frequency standards.